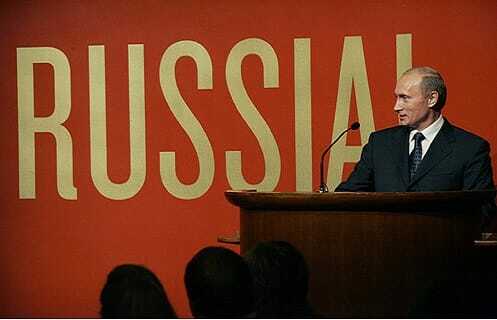 Home » War of Sanctions: What’s the End Game for Russia and the West? War of Sanctions: What’s the End Game for Russia and the West? As Putin trades barbs with Obama and other Western leaders, take a look at what it could mean for the American people. The sanctions game between Russia and the West is heating up. After weeks of hopeful negotiations, they’ve now fallen apart with Obama’s recent announcement of new sanctions, which were quickly followed by retaliatory measures by Putin. Obama announced new energy and banking sanctions that are much deeper and more widespread than any before. They are also negatively affecting American businesses with Russian partnerships, like Exxon. These sanctions are hitting the ruble hard as it has fallen to new record lows against the dollar and demand for dollars has gone up, in Russia especially. These sanctions are penny-wise and pound-foolish. Russia’s retaliatory measures are hurting our European allies. President Vladimir Putin immediately banned $9 billion worth of food imports from Europe. Full stop. Imagine food rotting at the border, farmers not getting paid, and whatever is salvageable, having to find a new home in other markets closer to home. That is $9 billion worth of glut on agricultural markets back in Europe that will destabilize prices for a bit. Meanwhile, food prices in Russia have risen, hurting Russian consumers who have nothing to do with Putin’s decisions and actions in Ukraine. Everyone will adjust eventually. Russia has an agricultural sector that is not especially bothered by having to replace that domestic demand. Ditto for banking, automotive and everything else. It will just take some time. It is unfortunate, though, because free trade always makes both sides better off. Instead, consumers and producers are being used as pawns in dangerous political games. There are much more harmful things Putin could do to retaliate further. Winter is coming. The EU gets one third of its gas from Russia. To cut off that supply would roil the European economy. Gas prices all over Europe would soar right in conjunction with winter demand for maximum impact. Putin’s retaliatory agricultural import ban is hurting his own people as they struggle to afford meat and fish at higher prices, but will they blame Putin? Putin is telling them it is all the West’s fault. The West is saying the sanctions are because of actions that Putin denies, specifically, arming the separatist rebels in Ukraine. Who will Russians believe? The idea behind sanctions is that if we hurt your people through trade, they will be angry with you and it will weaken your power at home. It so rarely works out that way though. Oh sure, it hurts the people, but they are likely to look to their leader as a savior from the Western boogeyman, not the other way around. Sanctions usually backfire for this reason. And while sanctions do not always lead to war, war is almost always preceded by sanctions. Sanctions are usually the first stage of open, violent hostilities. At this stage, the sanctions are strengthening the dollar and weakening the ruble. Coupled with precious metals experiencing a recent dip in prices, what you see in the gold markets right now may prove to be a terrific buying opportunity. If open hostilities were to commence and gold experiences the increase in price that often comes along with global instability, you will get more gold for your money right now. But even if those hostilities don’t start, remember that the Indian gold buying season is upon us, which means a large increase in demand for the yellow metal. And if you follow our Google+ profile at all, you’ll know that there are plenty more reasons why demand for gold is set to increase. We’ve said it before and we will keep saying it – today is always a good time to buy gold. Even if you protect your savings a year too early, you don’t want to be the person who waited a day too long. Call us today to get started.